Majestic mountains, blue mountain mist, dense forests, and towering waterfalls, create the perfect backdrop for couples to commemorate one of the most important moments of their lives, when they take vows to wed each other. The landscape alone is enough to make any bride-to-be swoon. However, it’s not just the setting, but the wealth of wedding resources that make the Smoky Mountain area the wedding capital of the South. In addition to the prolific beauty and natural scenery, Gatlinburg offers everything a bride and groom-to-be need to make their nuptials an event to remember. There are endless resources when it comes to planning your special day; chapels, mountaintop settings, photographers, caterers, vendors and more. When having a destination wedding couples are usually looking for something special. They may be seeking to have a more intimate ceremony, create an unforgettable vacation opportunity for guests, or choose to take the stress of wedding planning out of their home town. Or maybe they just want the ultimate romantic location to state their vows. Start planning the big date today by booking your wedding weekend at Elk Springs Resort; our exclusive resort will delight you and your guests and provide you with the comfort and space you desire. One of the biggest bonuses of having the wedding in Gatlinburg is the couple doesn’t have to leave for a separate honeymoon and guests have so many local attractions to experience and explore. Guests can arrive early or stay late for an extended wedding weekend vacation in the area. Newlyweds can continue the wedding fun and elect to stay in town for their honeymoon and see as much or as little of their family and friends as they like. For this reason and so many more, Elk Springs Resort is an ideal place to stay for you, your wedding party, guests and family. A wedding weekend is much more than the wedding itself. In addition to the celebration of the union of two hearts, souls, and lives; it’s also an incredible opportunity for your loved ones to come together and celebrate. This convening of people is often what guests most look forward to when attending a wedding. That is why accommodations are key when planning a wedding. When seeking the best in quality accommodations for your wedding party, family, and friends, why not selects a place that maximizes beauty, fun, privacy, while still offering convenience to local area attractions and hot spots? 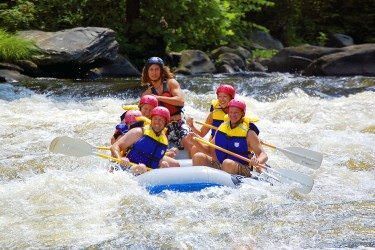 Elk Springs Resort was rated one of the top 7 best destinations for Group Vacations by CNNGO.com. Our resort expands 68 acres and is the perfect setting for a large wedding parties. Our cabins are luxurious, spacious and modern. The sweeping mountain scenery is the perfect backdrop for a wedding, offering both romance and relaxation all at once. Wedding guests can not only rejuvenate, but they can enjoy the convenience of the resort’s location. Guests will be delight in the feeling of being secluded and really being “on the mountain” yet marvel at the convenience of being just 8 minutes from downtown Gatlinburg and15-20 minutes to Pigeon Forge. There are numerous lodging options for wedding parties, families or friend groups that wish to stay close together in a cluster of cabins or have their own privacy within the 68 acre resort. Guests can choose from a more intimate one bedroom cabins to a more spacious six bedroom where the whole clan can come together to eat, sleep, and have fun. For those guests that do wish to say in a cabin cluster, it’s like a luxury camp for adults, where you walk right out the door into the wilderness and your best friends are staying next door. 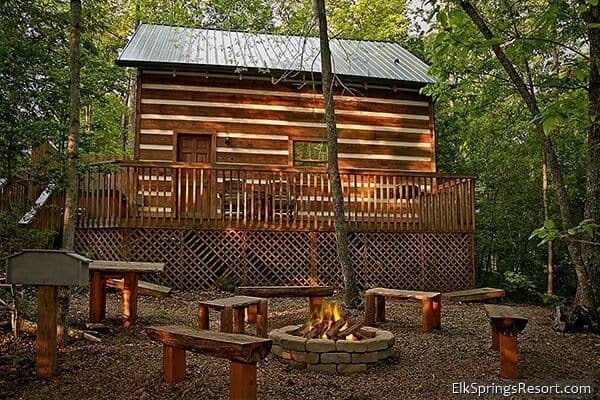 Elk Springs Resort features a cluster of 5-bedrrom cabins that accommodates up to 100 people, side by side for this purpose of bringing people together. Then the Bride and Groom can stay at an exclusive honeymoon cabin further away in the resort, yet still be close to family and friends when they chose. For example all your favorite friends could converge on “Big Bear Lodge.” This massive cabin has 7 bedrooms, 6 baths, 3 decks, and can sleep up to 34 people. With 2 pool tables, 2 air hockey tables, 2 foosball tables, a hot tub and access to a seasonal community pool, It really will feel like and adult summer camp. The fun possibilities are endless. Or wedding guests seeking the most breath-taking views might opt for “Pinnacle Peak Cabin.” This Colossal cabin features 7 bedrooms, 3 full decks, a huge hot tub, and much more. Your wedding guests can romp and Rome in one of 7 spacious bedrooms, 3 full decks, and play in the game room loft. Or dine in the impressive dining room with 2 large wood tables and benches. Planning a wedding can be stressful no matter how detail oriented you are, and the week before any wedding (no matter how big or small) is always a busy time. Take your honeymoon before the wedding, or at least start your wedding week off right, with a romantic honeymoon cabin at Elk Springs Resort. 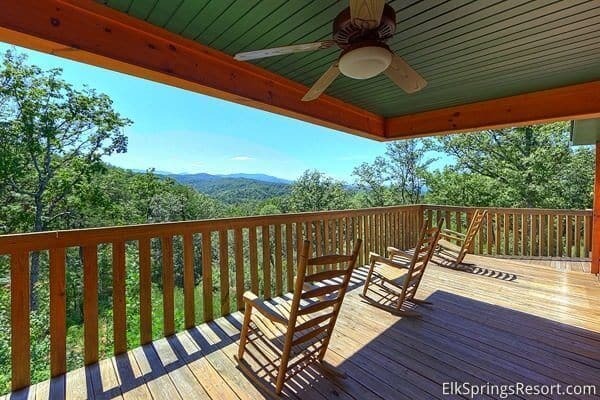 Built onto the mountainside Elk Springs Resort honeymoon cabins put you in the heart of a dense mountain forest and misty mountain scenes. Amid chirping crickets, birdsong, and the whispers of the wind newly-weds or newlyweds to be, will discover a serenity and calm not possible in other accommodations. Your selected honeymoon cabin will maximize your calm and tranquility and help you feel rested before and your very eventful wedding week. Elk Springs Resort even offers premier amenities such as an in cabin massage, where a certified masseuse from Beneficial To Life Therapeutic Massage comes right to your cabin to help you unwind and kneed out the tension and stress that can be a part of wedding planning. Its your day about you. They offer many different services; from hot stone therapy, Swedish massage, and stretching. They even do facials. 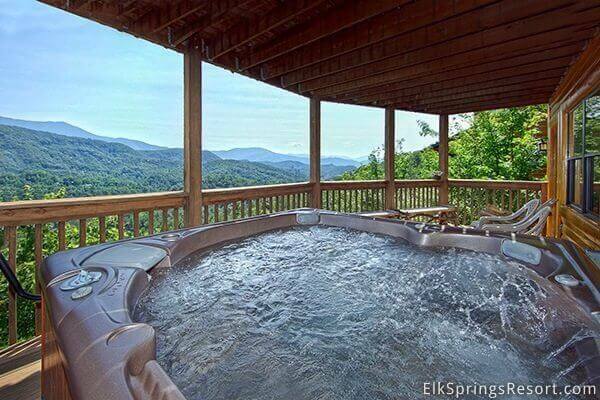 For guests that get married outside of Gatlinburg, Elk Springs Resort can be a haven after a hurried wedding week. The Luna de Miel (Honeymoon) is often the most anticipated part of the wedding for a couple. After tireless planning, preparation, many couples are ready to relax, rejuvenate, and spend that special one-on-one time with each other. Elk Springs Resort offers the perfect setting for couples seeking a romantic and secluded getaway, yet with the convenience of many local attractions and romantic activities to boot. These cabins highlight just a few of the many options honeymooners have when selecting a cabin. For couples that love hanging together outside, “Lots of Lovin” is the ideal honeymoon cabin. After growing tired of staring into each other’s eyes, this secluded cabin features its own outdoor fire pit, horse shoes and corn hole boards. Not to worry if it rains, there many in door diversions such as a large stand up Arcade game, foosball, Satellite TV and DVD players. 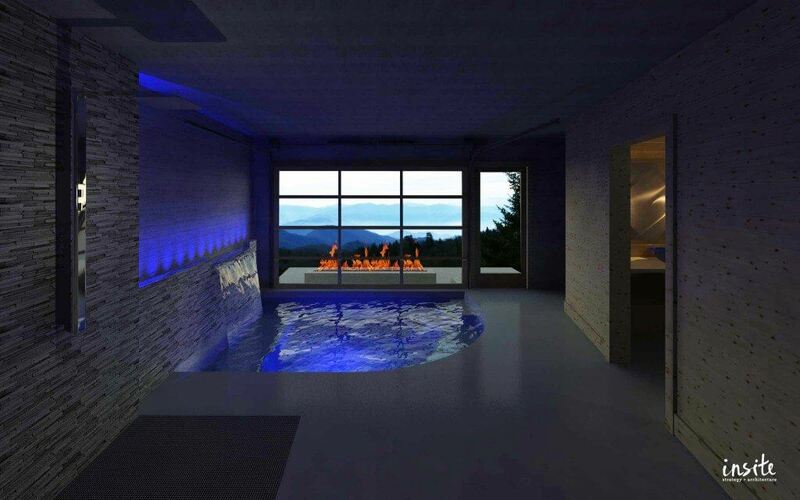 And for relaxing after all that fun and play there is hot tub, stand up shower and Jacuzzi tub in the Master Suite. If you and your honey need some R and R, lounging, swinging, and basking in the wonders of nature, “Whispering Creek” is an ideal honeymoon cabin to fit all your needs. This honeymoon cabin features incredible views of the majestic Mt. Le Conte, one of the tallest peaks in the Great Smoky Mountains National Park. You can sip hot chocolate or wine and warm your toes at the outdoor fire place while swinging under the stars. This cabin also includes many other amenities to make your honeymoon relaxing and fun such as a hot tub, Jacuzzi tub, gas grill, pool table, DVD players, and more. In addition, relax and relish your loved one as you hear the babbling mountain stream below as “Whispering Creek” is built right beside a mountain stream. For couples looking for the ultimate in romantic honeymoon experiences retreating to Elk Springs Resort’s latest creation,Urban Cowboy is a must. Currently under construction, this honeymoon cabin, features a luxurious enclosed infinity pool with floor to ceiling windows that peer out over the mystical Great Smoky Mountains. 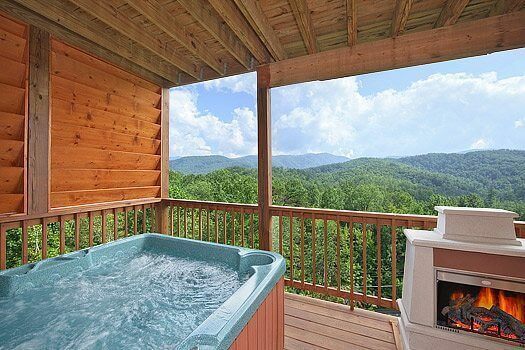 This honeymoon hideaway is being created to maximize the natural beauty of the Smokies while including all the 5 star amenities and details that will make it a supremely romantic and exclusive cabin that couples will not soon forget. People who chose a destination wedding are often looking for something different, something unique and memorable that honors their commitment and enhance the setting and celebration of their love. Often destination weddings tend to be smaller more intimate affairs, where closer family and friends travel long distances to stand and watch as their loved ones take their vows. Instead of the massive church wedding and reception in a hometown, couples chose to commit their lives to one another in front of a select group of family and friends. If you fall in this category, consider hosting your wedding onsite at Elk Springs Resort. Elk Springs Resort has hosted over a hundred small weddings and will work with couples to plan an unforgettable celebration connecting them with an event planner, local vendors, tent rentals, photographers and more. For couples that opt for a wedding off site at an area church or chapel, Elk Springs Resort is the perfect place to host a memorable wedding receptions. Many receptions have been hosted in the luxury cabins with an adjoining entertainment tent. Wedding reception guests not only have the benefit of a luxury cabin to lounge in, but they can enjoy the majestic beauty of the great outdoors with picturesque mountain vistas from cabin decks and more. For larger weddings and receptions Elk Springs Resort also features a common area where weddings and receptions can be hosted. This area can be setup for catered functions, add on covered entertainment tents with live music, dancing and is capable of full meal service. You can’t get hitched without a marriage license these days, and when planning a destination wedding this is one crucial component that you don’t want to forget. Luckily, since Sevier County hosts so many weddings, they have made getting a marriage license a simple process. Sevier County offers online features, such as the pre-application for a marriage license and a wedding archives dating back to the 1870s, found nowhere else in the United States. For people that decide to get married in Gatlinburg or onsite at Elk Springs Resort, they can get a head start by filling out the pre-application for the Marriage license up to 30 days before the wedding. To begin filling out the pre-application for the marriage license click here: http://www.seviercountytn.org/index.php%3Foption%3Dcom_content%26view%3Darticle%26id%3D273%26Itemid%3D251. The fee for out-of-state residents is $38.50 cash, or the county will accept Visa or MasterCard with a small processing fee. The fee for Tennessee residents is $98.50 cash. However, $60.00 of this fee will be waived if applicants complete a 4-hour premarital course and present a notarized certificate of completion. The certificate of completion for this premarital course must be obtained at the Sevier County Office. Find out more about the marriage license process and requirements. So maybe you haven’t tied the knot yet, but you are headed in that direction? If you are serious about taking the next step, but aren’t sure where to pop the big question, Gatlinburg is the perfect place to plan a proposal. 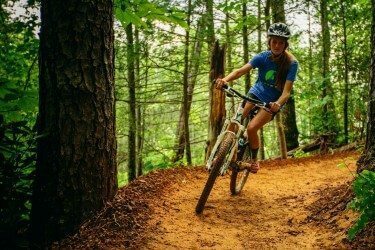 With enchanting forests, awe-inspiring mountains vistas, and misting waterfalls and plenty of local attractions the Gatlinburg area provides a wealth of picturesque and thrilling settings to see ask her (or him) if they are in it for the long haul. Check out these top proposal spots, all romantic or thrilling settings to confess your undying love and ask that gal (or guy) to walk down the aisle. So if you are nervous and don’t think you can wait for a longer hike or a long scenic drive to an overlook, this might be the proposal spot for you. 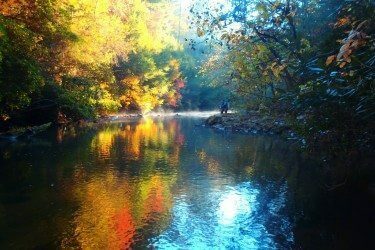 Located just before the Ranger Station on Greenbriar Road, The Greenbriar Swimming Hole on the West Prong of the Little Pigeon River is a superb spot to pop the question. 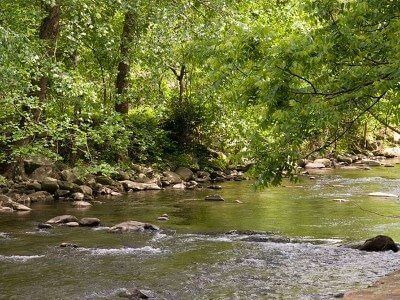 This romantic setting features the rushing West Prong of the Little Pigeon River runs clear and pristine through dense forests and over ancient stones. So, park the car, walk out to a wide rock in the midst of these babbling mountain waters, and catch her off guard as she admires the beautiful mountain scenery. Then you have time to get down on one knee and dedicate your life to your loved one. Take your proposal to new heights by asking for your lover’s hand at 1,800 feet in the sky. 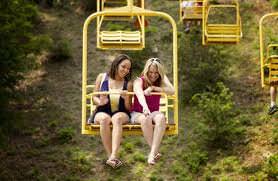 If you really want to surprise your bride-to be suggest a ride on the Gatlinburg Sky Lift, one of the oldest chair lifts in the South, and confess your love at the top of Crockett Mountain. You may ask for her hand on the lift or wait until you get to the overlook platform. With spectacular views of the Great Smoky Mountains National Park and greater Gatlinburg valley as your backdrop for the engagement ring debut, how can she say no? 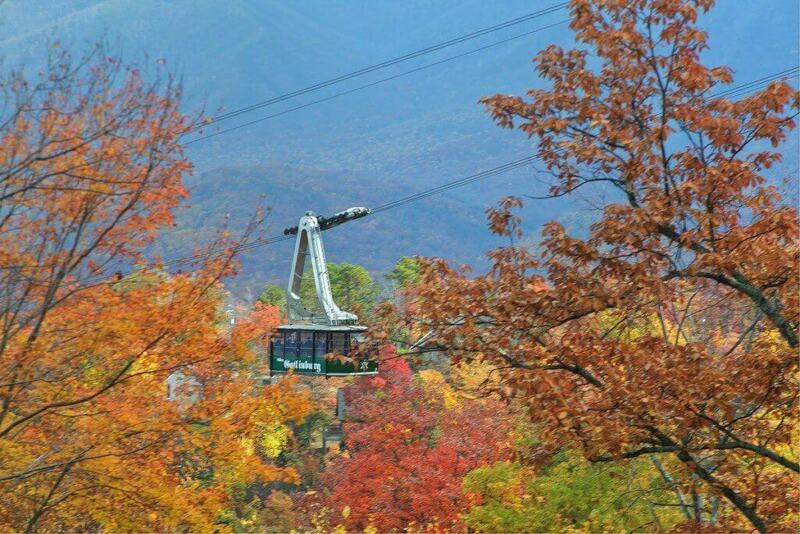 If you really want a proposal to remember pop the question on the Gatlinburg Sky Lift at night. Night rides on the sky lift offer supremely romantic feel as your rise above the buzzing and sparkling lights of Gatlinburg. Maybe you can even time your proposal for the camera, if you work it out just right, and have your very own souvenir photo taken while riding the Sky Lift. Just make sure you don’t startle her so much she falls out of the chair! For a truly memorable proposal site, take your bride-to-be (hopefully) on a scenic drive and to the perfect location to cement your commitment to each other, Newfound Gap Overlook. 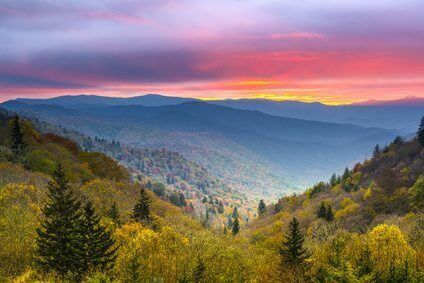 Rent a snazzy convertible or ask your loved one to ride in your trusty old steed and drive up Newfound Gap Road to one of the highest points in the Great Smoky Mountains National park-Newfound Gap Overlook. Ask for her hand at this incredible overlook that sits at 5,046 feet on the Tennessee/North Carolina state border. What better place to commit to the journey of love and partnership than this breath taking spot, where the Appalachian Trail crosses the parking lot. The Incredible panoramic view of the surrounding mountains once hosted Franklin Roosevelt to celebrate the opening of the Great Smoky Mountains National Park. So add to the history of this site, and make your mark by proposing above it all. So maybe Gatlinburg is your favorite tourist destination, and you have returned time and time again to create memories with your soon to be fiancée around the town. Maybe you want to commemorate your love and declare your desire for a lifelong partnership high up above the town where you love was born? Or maybe you are just looking for something quirky and cool and unexpected? 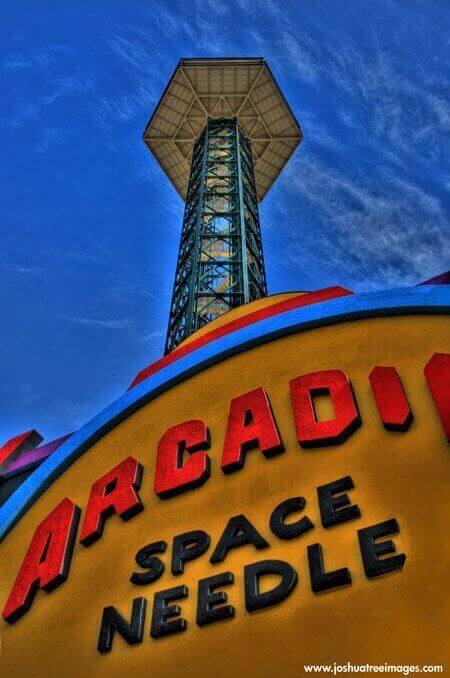 Well, the Gatlinburg Space Needle may be your place. This steel observation tower provides visitors with a 360 degree of Gatlinburg and the Great Smoky Mountains, 400 feet above the ground. The observation deck is the perfect place to look over downtown Gatlinburg and recall your memories together or plan memory making moments to come. Point out a passerby below or new street store, and divert her attention giving you the chance to pull out the ring and get on one knee. If your soon to be life-partner is a nature and history lover, why not propose amidst one of the most picturesque natural and historical settings in the Great Smoky Mountains National Park? Cades Cove, an enchanting valley that features incredible wildlife, historic sites and buildings and breathtaking backdrop of the Great Smoky Mountains, is an ideal setting to commemorate your proposal. The 11- mile Cades Cove Loop trail offers a plethora of picturesque natural and historic sites along the way as you muster up the courage to pop the big question. With three different churches, a working grist mill, barns, log houses, and more, as well as the opportunity to see wildlife like bear, wild turkey, fox, and deer, the hardest part will be deciding on exactly which place to ask for her hand. 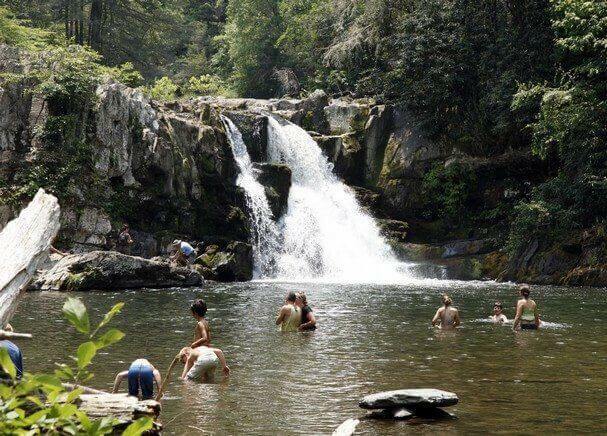 If you really seeking to make the moment memorable, add in a hike to the famous Abrams Falls. This 5-mile loops takes you out and back to rushing waterfalls that delve into a crystalline pool. This Kodak worthy waterfall is also an ideal location to pull out the ring. Whether you decide to pop the question on a downhill ski slope, while riding the aerial tram, or speeding down the mountain on the Alpine Slide, Ober Gatlinburg offers many picturesque and fun locations for a proposal. Ober Gatlinburg is Tennessee’s only Ski Resort, with nine ski trails, Black Diamond ski runs, and a terrain and tubing park. So if you and your loved one are snow bunnies, consider culminating a ski, tube or snowboarding run by sinking to one knee in the snow and warming her heart. Or maybe you want to speed down the mountain on the one-of-kind Ober Gatlinburg’s Alpine slide. You could choose to pop the question on the scenic chairlift ride up the mountain or swirling and speeding down one of two 1800′ tracks through woods and ski trails.